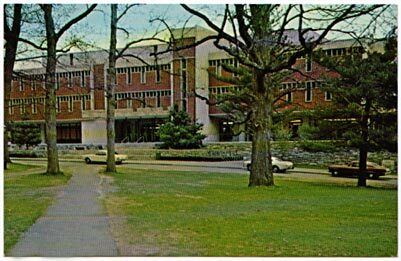 Robert Frost Memorial Library, Amherst's primary library, was built in 1963-65, on the site of Walker Hall, the striking but beleaguered home of science study at Amherst for nearly ninety years. The laying of the cornerstone was attended by President John F. Kennedy. 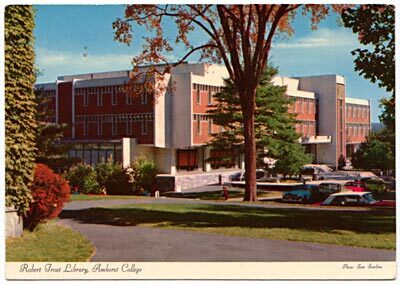 The library underwent extensive renovations in 1995, with the creation of the Media Center on the B level, as well as new space for the Archives and Special Collections.